Nerve damage called diabetic neuropathy is common in people with diabetes. 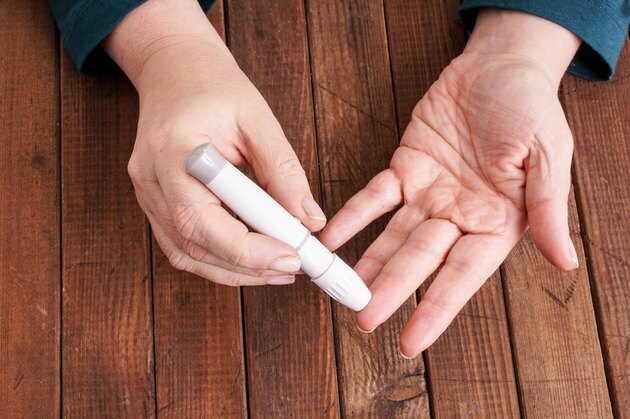 Symptoms typically appear after several years but may be present when diabetes is diagnosed, as the disease may have gone undetected for many years. Diabetic nerve damage known as peripheral neuropathy is most common in the legs and feet. According to a 2005 statement by the American Diabetes Association, up to 50 percent of people with diabetes have peripheral neuropathy. This typically starts as numbness or tingling that progresses to loss of pain and heat and cold perception in feet or hands, making it difficult to sense an injury. Another type of nerve damage called diabetic autonomic neuropathy affects nerves regulating the heart, blood vessels, and digestive and other systems. This condition can lead to problems with blood pressure, heart rhythm and digestion, among others. Diabetes Care: Diabetic Neuropathies: A Statement by the American Diabetes Association. Centers for Disease Control and Prevention: National Diabetes Statistics Report: Estimates of Diabetes and Its Burden in the United States, 2014.